Snoopy is one of my favourite characters of all time, alongside Calvin & Hobbes. Enough said. PART TWO: no I do not have such small feet, why would you even think that. (they're my sister's socks, and feet). (she's five.) PART THREE: you may have seen this before but without the detail. I royally messed up this prompt after an accidental splash of colour meant i had to roll with what i had. i then left it, and then returned armed with a fine-liner and mandalas on my mind. pretty wonky, not my favourite, but definitely better than before. BUT ALL THE WORK TOO LIKE HOW DO I COPE? Hahaha maybe I was just in a bad mood when I drew him.. 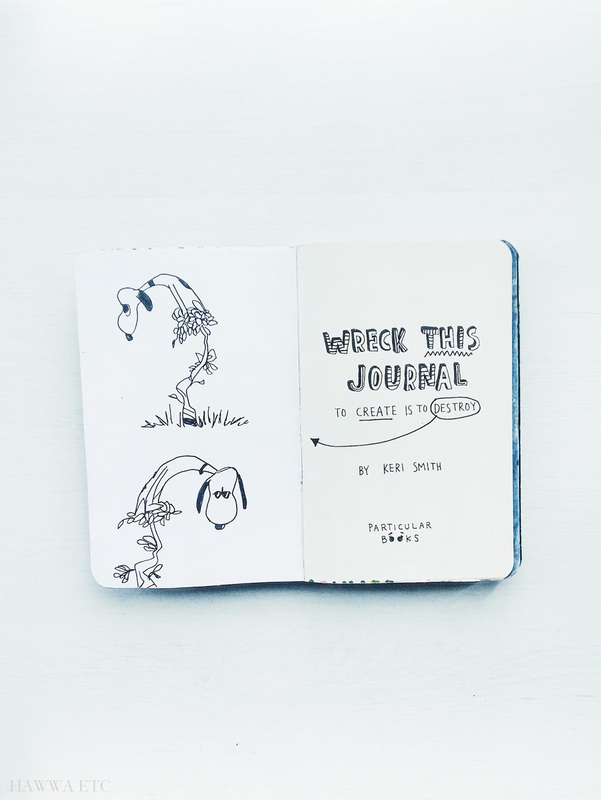 I've been wanting to try a Wreck This Journal for ages. Your photos are so inspiring! Thanks, you should get one if you can! It's so therapeutic! Love this so much. Hawwa so talent! It's so cute, Hawwa! 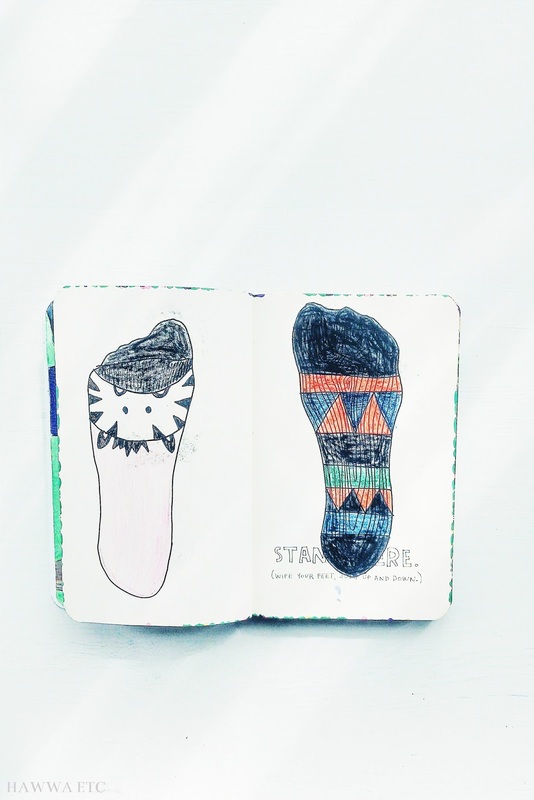 I love everything that you draw! 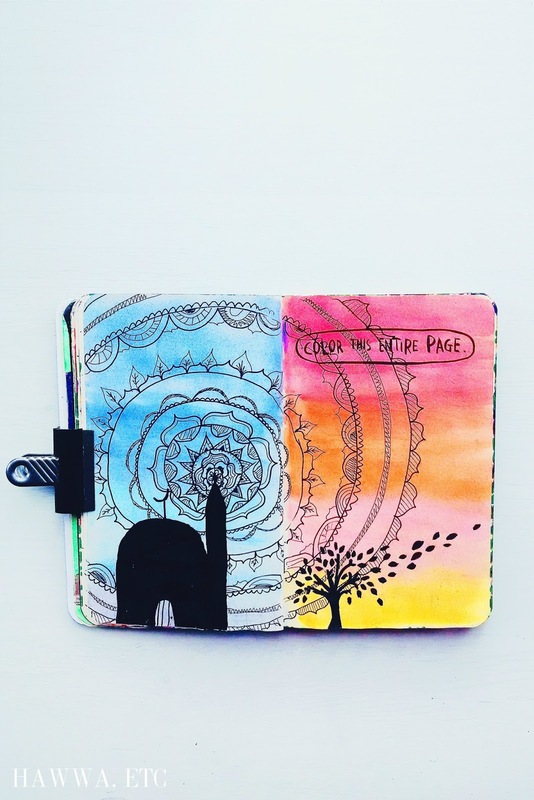 I neeeeed this journal so so so bad!